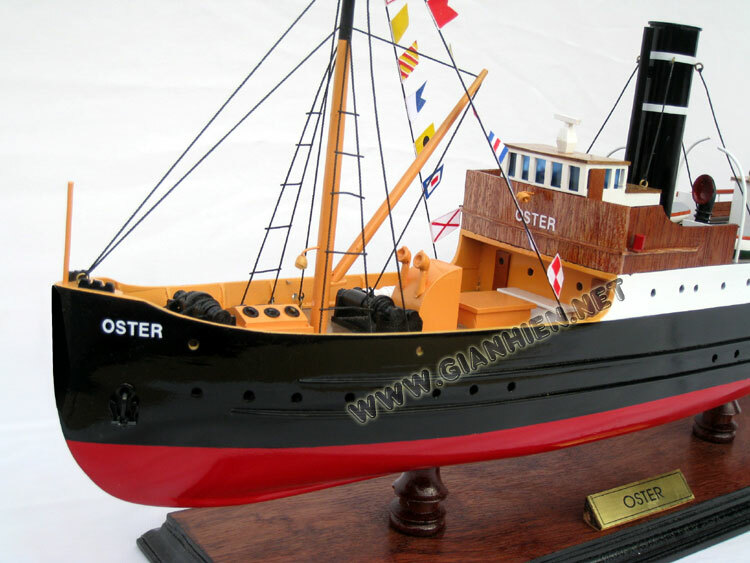 Today's post is a tribute to a real veteran - "D/S Oster". 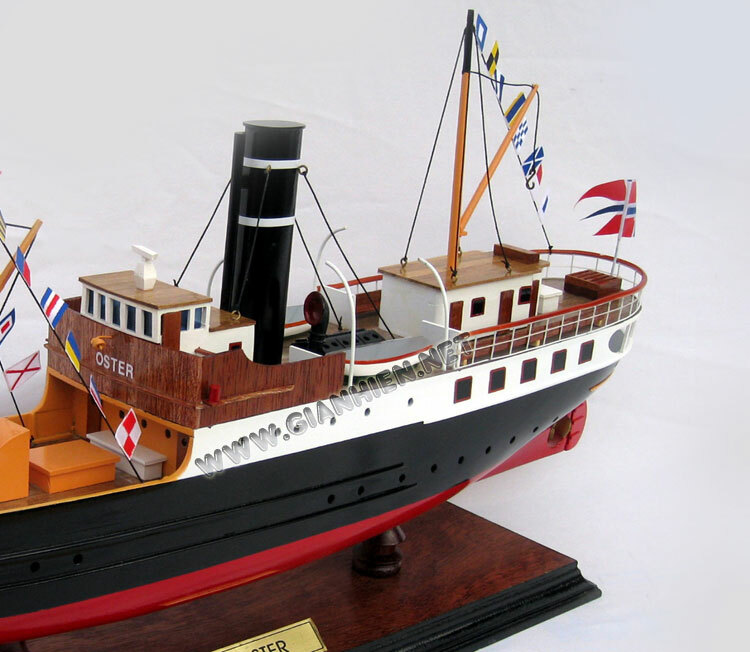 The ship is an example of the archetypical coastal steamer that sailed along the coast of Norway in the late part of the 19th century and well into the 20th. 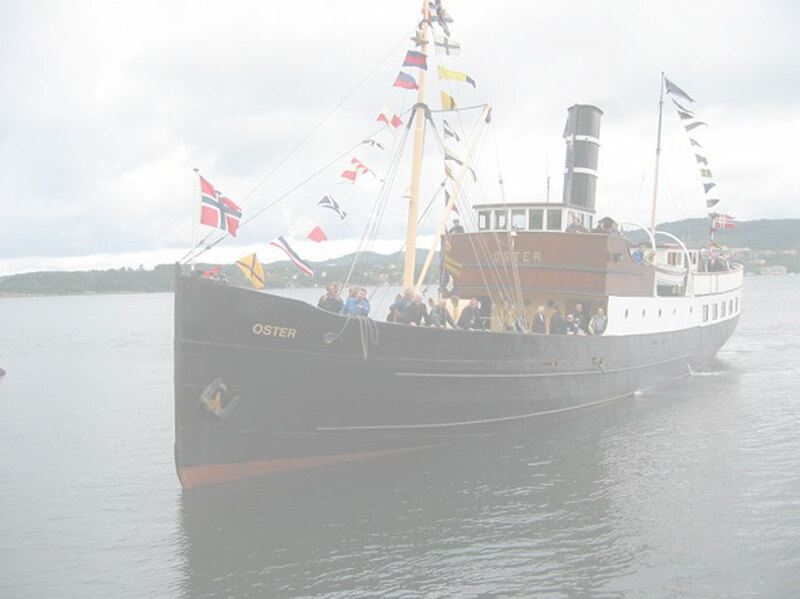 Oster had its base in Bergen and was for many years the largest of the vessels that connected the Northern part of the county of Hordaland with the city of Bergen. The two first pictures show the ship moored at the quay in a small place called Bjørsvik. Engine (coal): Christiansands Mek. V. trippel expansion 54 nom. hp. It was also built more or less like an ice-breaker, since the fjords in the inner part of the county always froze in the winter and the people became isolated. In 1915 it was extended, so that the length became 118,6 feet, the gross tonnage 191, and the number of passengers it could carry was increased to 312. The ships carried all sorts of goods - from cows to cereal and post to planks. It (and is smaller siblings) represented the main artery for the whole area. Along the coast of Norway all connections had been via the fjords. 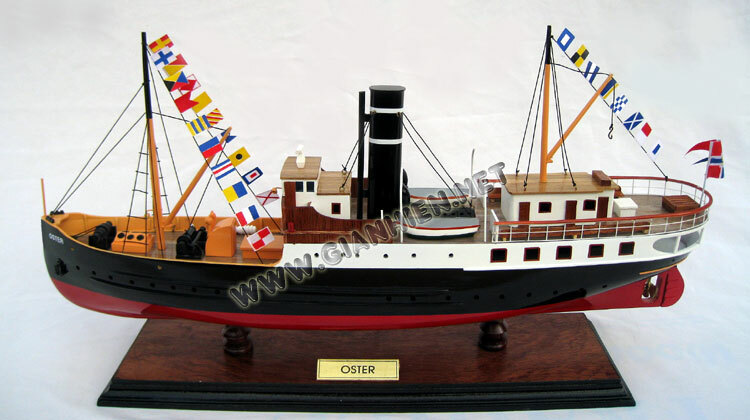 However, by 1964 the time had caught up with "D/S Oster". 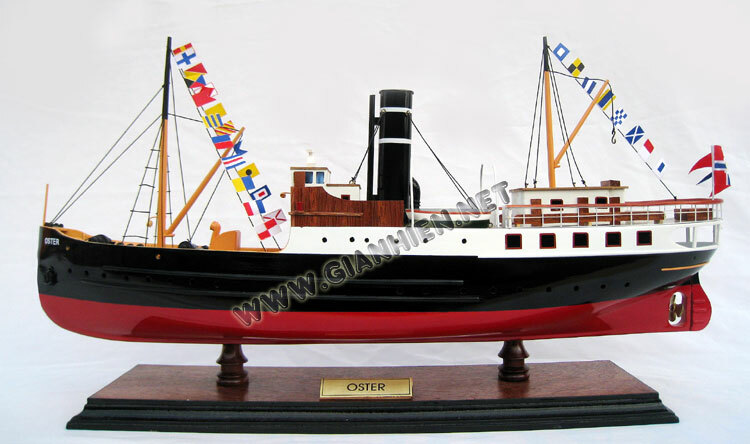 New and more modern ships, and not the least - more modern roads, cars and buses had taken over much of the work that "Oster" had done. 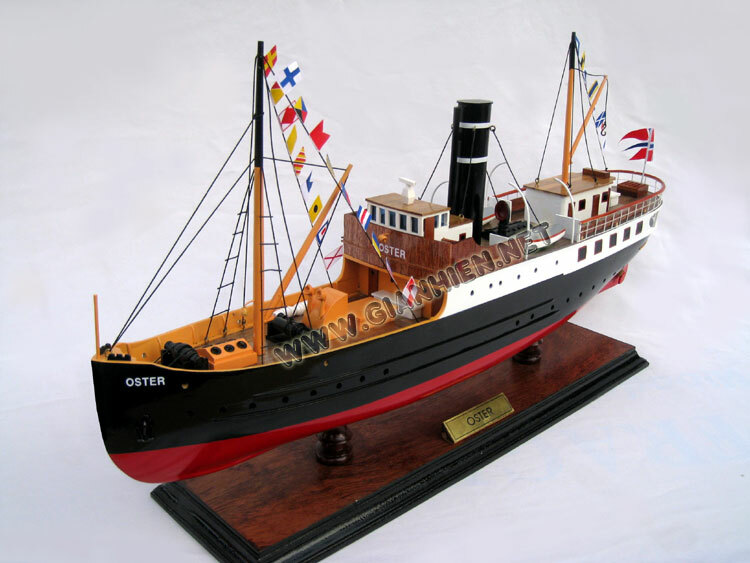 Despite a large local action (including the song "Dar kjem dampen" by Ivar Medaas, which became a classic Norwegian song), the ship was sold off, rebuilt as "M/S Vaka" and disappeared from history - for a while. However, in 1996 some enthusiasts managed to get hold of the old ship and have since then done a marvelous job with the restoration. 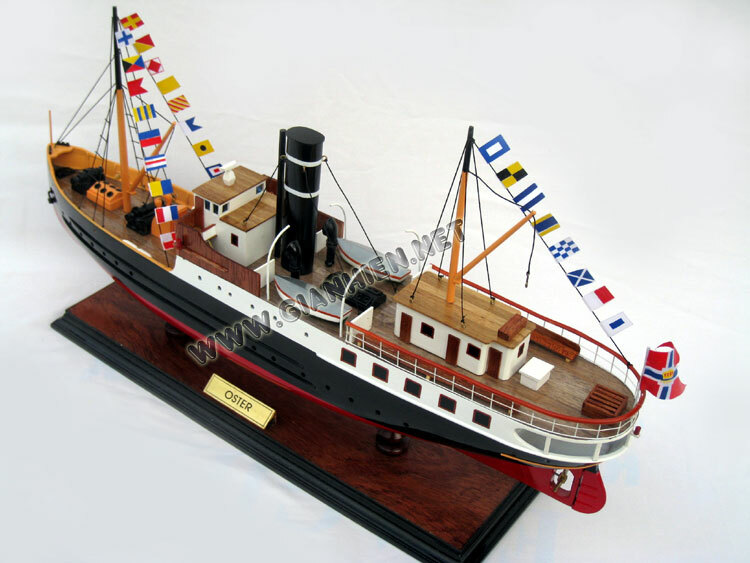 They had to get a "new" steam engine from England (alas, not coal) and they are steadily getting closer to the look the ship had when it was a "proper" steamer.